An Eastern Washington native, Travis obtained his degree in Economics with an emphasis in Financial Markets from Washington State University. Travis spent several years in the banking industry amongst other ventures before transitioning his career into financial advising. 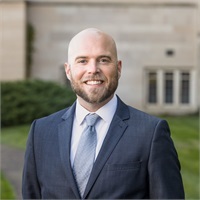 Travis joined the Fulcrum Financial Group team in September 2016 as an Investment Advisor Representative of LPL Financial, currently holding securities registrations of the Series 7 and 66 through LPL Financial, as well as life insurance licensing. He is also working toward attaining the Certified Financial Planner (CFP®) accreditation. Travis is married to his high school sweetheart Michelle. The two enjoy travelling, entertaining, and experiencing the food, music and wine scenes of Spokane and greater Washington State.